As an award-winning photographer, Joel Ray pursues life, science, and the beauties of nature. His work explores the art and technical components of digital photography. His interests in photography are to develop his talent, to teach, and help others to develop their skills in digital photography. The Governor appointed Joel to the Board of the Missouri Arts Council (2007-Present). To quote Matt Sanders, Southeast Missourian Arts and Leisure Editor, “Ray is the first representative of Southeast Missouri to serve on the board since Paul Loiseau, whose term ended in 1985.” Joel Ray looks to bring the arts of Southeast Missouri to the forefront of the nation as this region explodes in cultural arts development. Joel Ray has been taking photographs since 2000, and has gained recognition locally and around the state for his shots of the construction of the Bill Emerson Bridge. He provided photographs to the Cape Girardeau Visitors Bureau to promote tourism in Cape which led to nine billboards down Interstate 55 from St. Louis to Arkansas. Former Congresswoman Jo Ann Emerson appointed Ray to create photo essays on multiple Federal projects. Associated Press carries Joel as a stringer photographer, and he has won multiple photography awards including the State of Missouri’s highest photography award in “The Blue Book”. The WESTRAY Photography School for Kids (in WESTRAY Foundation 501 C3) collaborated with area schools and the Missouri Department of Conservation, encouraging the expansion of digital photography. Some past projects include: Altenburg, MO, USA to Altenburg, Germany a joint venture for children and a Astrophotography Seminar for a high school class. He is also a contributing member in several prestigious national art associations, including the Arts Council of Southeast Missouri, The Missouri Arts Council, the Cat Ranch Art Guild, and the Rockport Art Association. In years past, Southeast Missouri State University contracted Joel to shoot for sports teams and the theatre department. 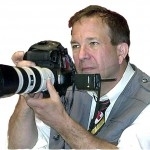 Joel continues to develop the skill sets of digital photography including aerial, drone, and astrophotography, journalism, photo essays, and historical documentation, intra-operative,(surgery), sports, and underwater photography, Gigapan and time-lapse techniques, and especially photography of nature, landscapes, and people, WESTRAY Studio, at 5 North Main Street in Cape Girardeau, opened its doors in 2003, Cyber methods for projecting his art on the Internet are expanding entrepreneurial endeavors. Ray’s present efforts to create a collaborative team are gaining traction. Expansion and defining of the digital photographer’s opportunities to broadcast their medium blend into Missouri’s development of the arts as an essential component of successful economic development.